the past two days have been insane. i am so glad it is friday. how about you? do you have plans? i have anxiously been awaiting the arrival of my baby niece or nephew- it will be any day now! these postcards are terrific! 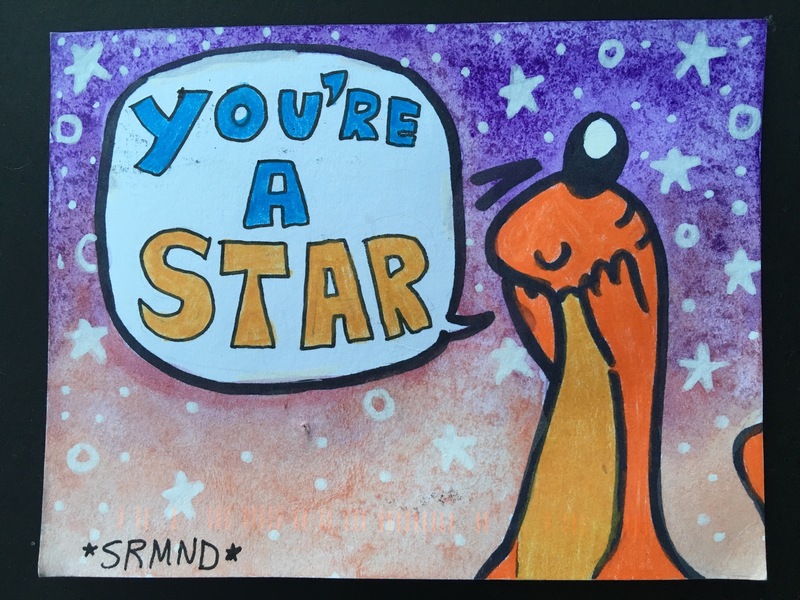 “you’re a star” comes from another local street artist SRMND. the artist posts up the cutest little salamanders with the best words of love to accompany them- it just makes you happy to find one of her pieces. and how bout those minions?! 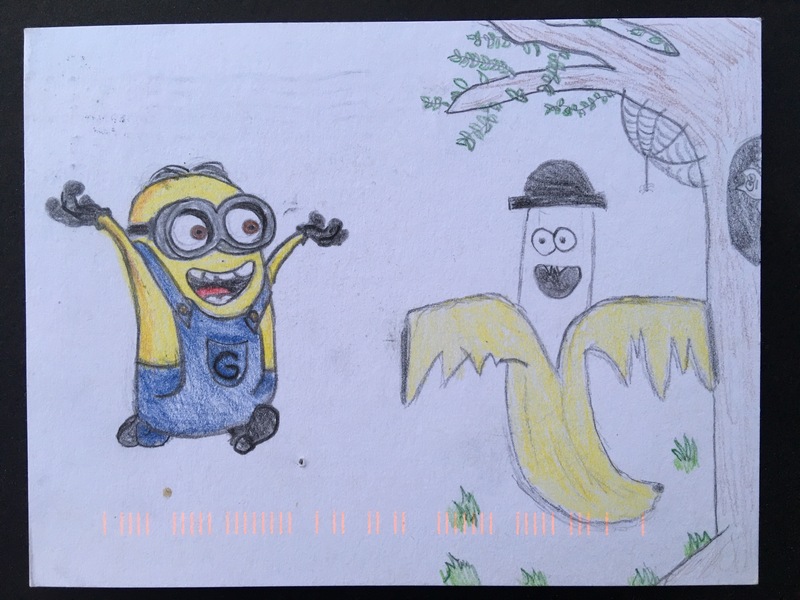 who doesn’t love minions? when i look at the card, i hear “buddyyyyy” in their high pitched, funny little voice. i love it. i hope everyone out there has a lovely weekend. now, go be awesome.